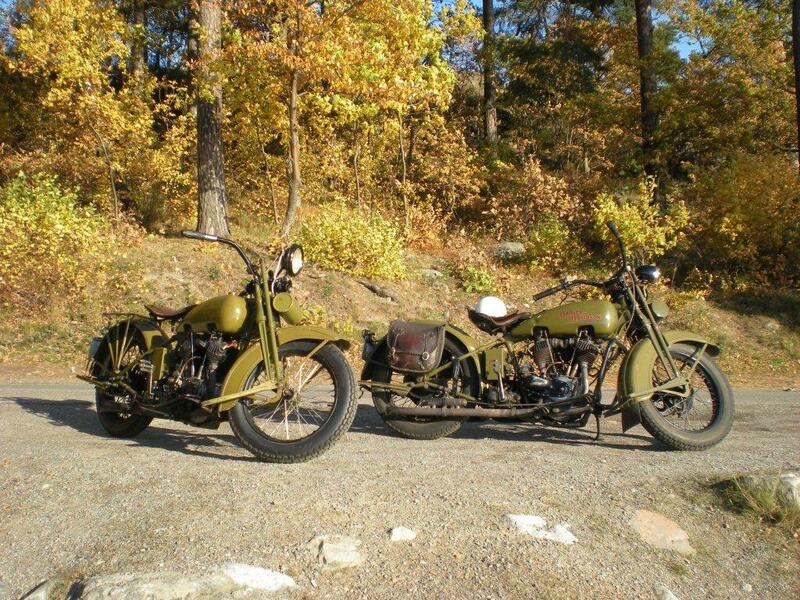 Uffe lives in Sweden, he has a bunch of HD bikes and they are not for display. Uffe and his mates go riding as soon as there is an opportunity to. Uffe shared with me & you this epic moment from one recent late autumns spin. Uffe riding his 1929 and mate Perre a 1926,(hence no front brake). I love the 29 J`s, when they have the I-beam drop forged rear front fork, the oil pump cover and the bullet style twin headlamps.